The time has come for our more ‘classic’ pies to move over for a week, to make room for a new pie to take the spotlight. 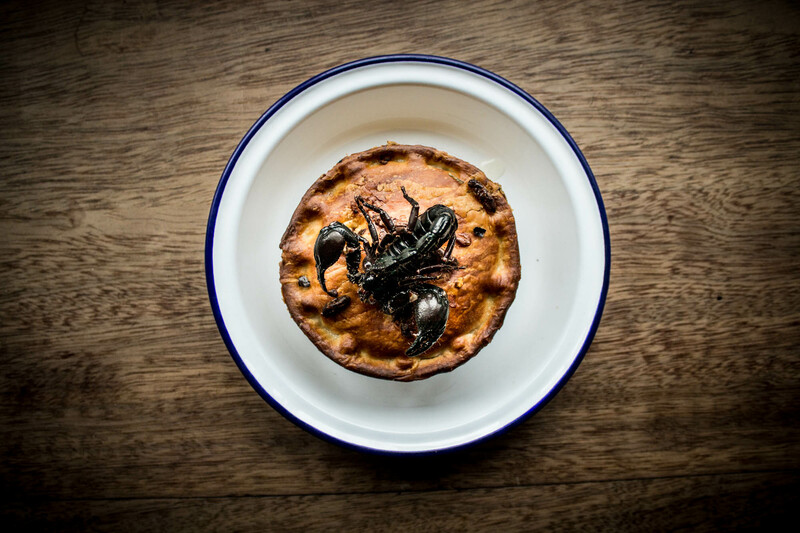 You see, we’ve been busy bees in our kitchens, creating our first ever insect pie, for British Pie Week. We looked to Mexico for inspiration for The Hopper (crickets are a Street Food favourite there) and we’ve ended up with a pie we’re really rather proud of: crickets and black beans cooked in a rich tomato, chipotle chilli and sour cream sauce with fresh lime and coriander. Come and get one fast, they’re only on the menu ’till Sunday the 12th of March. But why put insects in a pie? Insects could become a regular feature on western menus in the future as they’re a green and sustainable protein source compared to other meats. As pie-makers it’s important we look ahead and explore how we can keep on creating great pies in a sustainable and responsible way, so we thought we’d see what our faithful pie eaters make of this future-food in a pie. 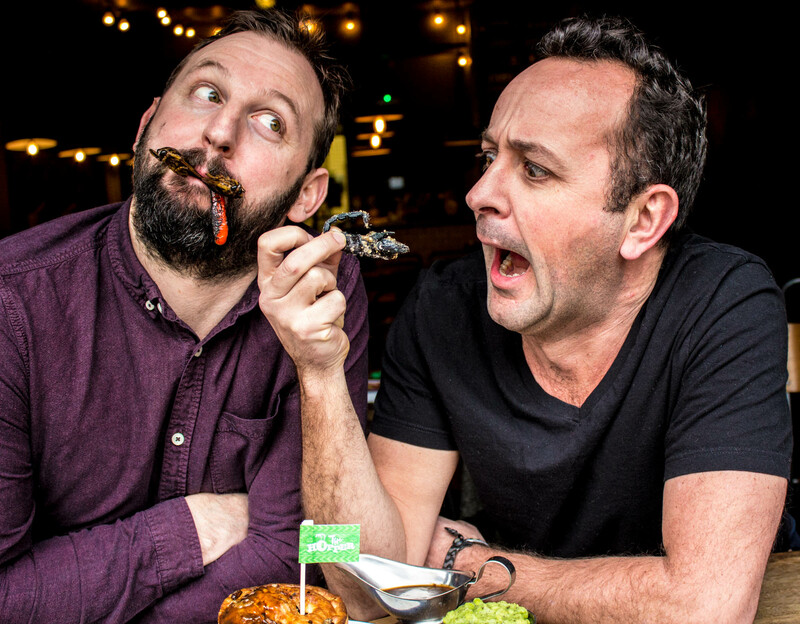 We’ve all tried a few Hoppers in the kitchens here and I have to say, we’re all cricket converts now at Pieminister (we look forward to finding out what you lot think of them too). As we always use free range British meat, we were keen to apply the same principles when sourcing edible insects for The Hopper. 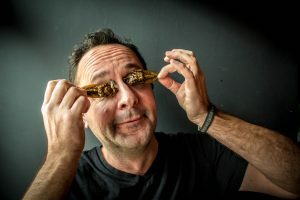 It was tricky to source British crickets (though encouragingly, edible insect farms are starting to emerge in the UK) so our crickets have been farm-raised in Europe and supplied by Crunchy Critters who source their insects from ethical suppliers whose sustainable stocks have been organically fed. Don’t worry though if you’re not quite ready to embrace an insect-only pie menu. Our award winning British beef and free range chicken and pork pies are here to stay (though it’s no coincidence that the latest permanent addition to our Classic range is the meat-free Saag Pie-neer pie and we’re currently working on a new vegan pie recipe too). 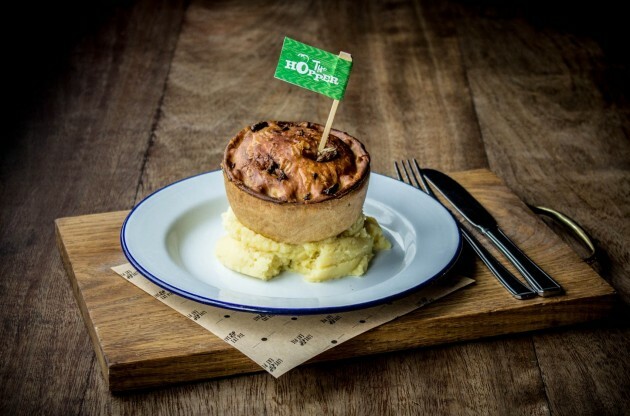 Being sustainable and responsible is central to what we do and as well as working on increasing our meat-free pie range, we only ever use responsibly sourced British meat including 100% free range British chicken and pork and farm assured British beef. The Guru: a British Lamb Dhansak curry pie made with Chana Dahl, spinach & chickpeas. So, come along to any of our cafes and restaurants from the 6th of March to celebrate pies in all their glory. We’ll be serving up these three specials, along with all our other award winning classics –with mash and gravy for just £5, all week. 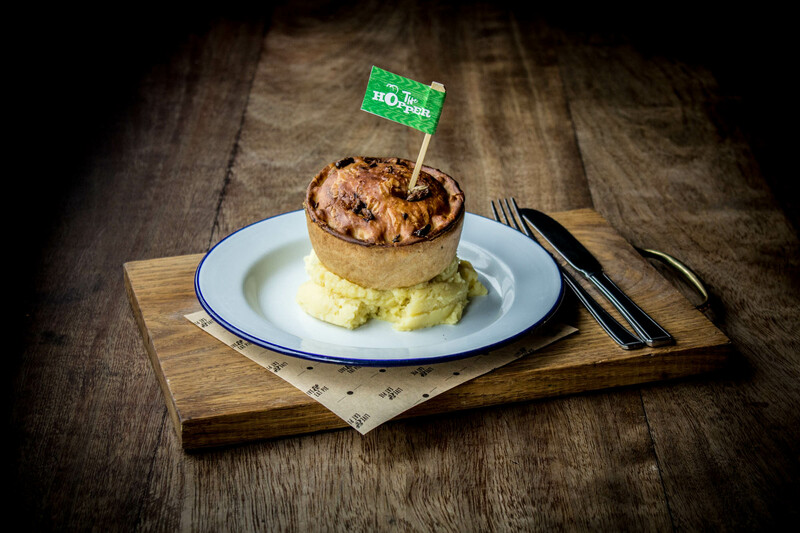 This offer also includes our new award winning Gluten Free Pies so there really is a Pieminister pie for everyone. Please note that The Hopper pie is not suitable for crustacean allergy sufferers.